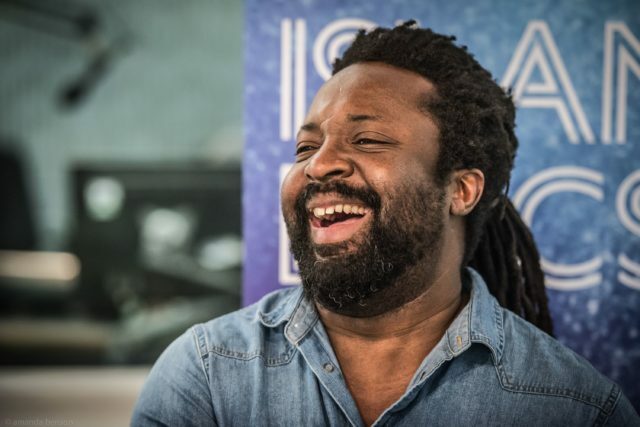 Novelist Marlon James has said he desperately wanted to “drive out the gay” with an evangelical exorcism. The Jamaican writer and winner of the 2015 Man Booker Prize has said he endured an “extreme” attempt to alter his sexuality. James, who achieved literary fame with his third novel A Brief History Of Seven Killings, has said he wanted more than anything to change who he was. The writer said he was unsure of his own sexuality when he was young, and was willing to undergo an intense and nauseating ritual to fit into Jamaican society. Speaking on BBC radio 4’s Desert Island Discs, James said that his problems were eventually solved when he decided to give up religion instead of his sexuality. The novelist said that he was sick multiple times during an exorcism at his church which he hoped would change him. He said: “I really threw myself into it. “I was at church almost every day of the week. “Homophobia was going to get to me sooner or later. “I didn’t know I was gay. “We’re all ‘let’s just forget all emotion and think God will provide’. “God is going to provide a wife who is going to understand my quote unquote ‘struggle’. “I wanted it more than anything. “That’s why I eventually had my sort of exorcism to drive out the gay. “Back then I thought they were just driving out demons. It’s a kind of mental control. “It’s this relentless, everything you say, ‘that’s not you that’s a demon. Be gone Satan’. Back then I wanted to believe it really badly. “Then one did it hit me, ‘what if I got rid of the church?’ And that worked smashingly. The writer revealed that he would was not open about his sexuality for many years and operated his own personal “don’t ask, don’t tell”. The full interview with James can be heard on BBC Sounds and BBC Radio 4, today at 11.15am.